• Carrying system: Skarstind features a unique carrying system with tensioned mesh back providing excellent ventilation. • Pack: Large zip opening at the top. • Pockets: Open side pocket in mesh. Expandable front pocket. External zip pocket for small items. 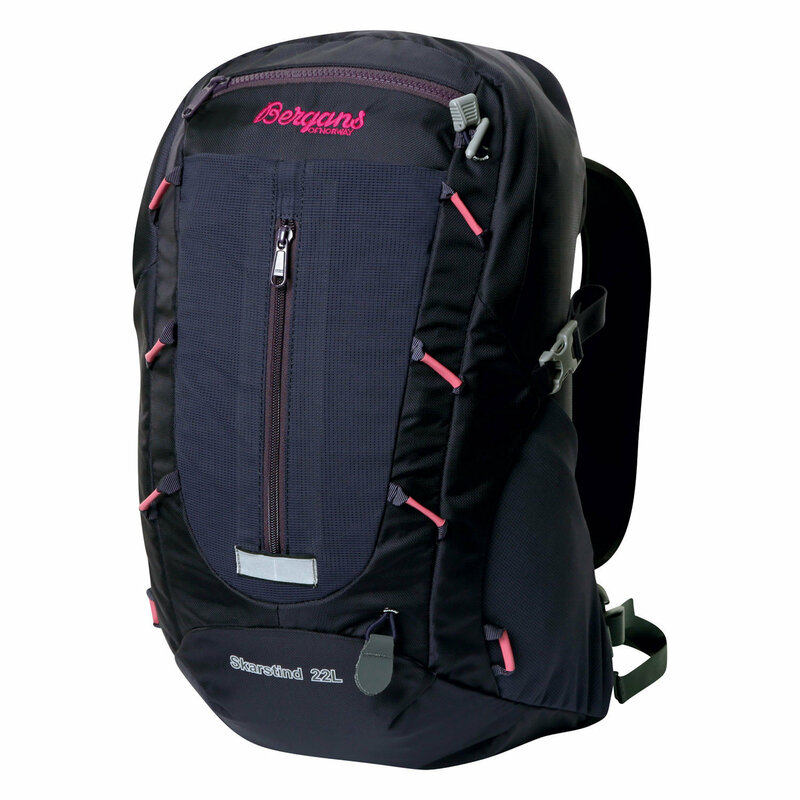 • Additional features: Compression straps on each side. Attachment points for ice axe/poles. Adjustable sternum strap. Hydration system compatible. Grab handle at top. Key attachment clip. YKK zippers.